We Are the In Crowd is an American pop punk band from Poughkeepsie, New York, formed in 2009. 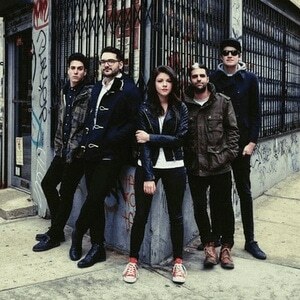 The band consists of Taylor Jardine (vocals), Jordan Eckes (guitar/vocals), Mike Ferri (bass guitar), Rob Chianelli (drums), and Cameron Hurley (guitar). They released their debut EP, Guaranteed To Disagree, on June 8, 2010 and followed it up with their first full-length album, Best Intentions in 2011. In April 2009, We Are the In Crowd's Myspace page was hacked.